It was a life well lived for Mrs. Roberta B. Wood, age 95, who passed peacefully into the arms of her Lord on Thursday, November 15, 2018 at her residence surrounded by family, friends and devoted caregivers. Mrs. Wood was born in Calhoun, Georgia on August 13, 1923 to Tom and Lucy (Cochran) Little. She had one sister, Bonnie, and three brothers, J. Terrell Little, Hansel J. Little, and Travis Little, all of whom preceded her in death. Mrs. Wood severed her country during World War II as a welder in the shipyards of Brunswick, Georgia and was a member of the “Rosie the Riveter” organization. After the war, she married Virgil S. (Woody) Wood, August 17, 1946, and to them was born a son, Michael V. Wood and a daughter, Deborah C. Wood. After living for a number of years in Tampa, Florida, they retired to Cave Spring in 1989. Mr. “Woody” passed away July 24, 2001. Mrs. Wood was a member of the First Baptist Church of Cave Spring, was active in previous years with the church and community and was a beloved friend to many. Survivors include her son and daughter, four grandchildren, Sarah (Rogers) Allen, Kerry Rogers, Dallas Rogers and Jonathan Baughn, and by five great-grand. 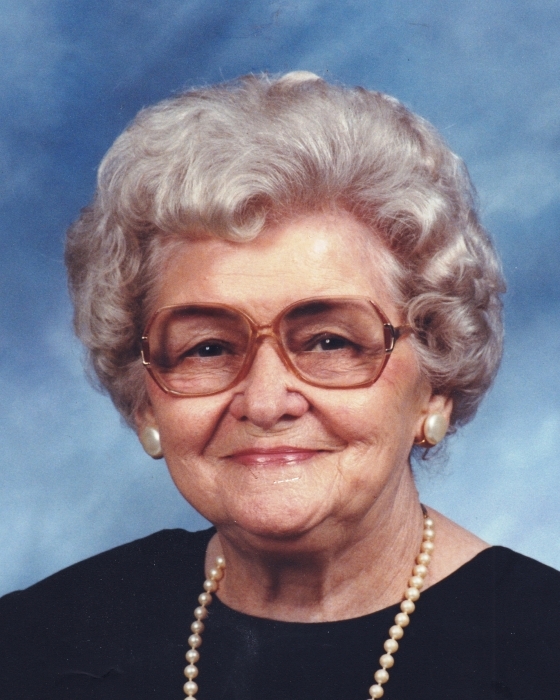 Funeral services for Mrs. Wood were held Monday afternoon, November 19, 2018 at 2:00 P.M. at John House’s Cave Spring Chapel with Dr. Alan Hix and Dr. Charles Childers officiating. Interment followed in the East View Cemetery. Pallbearers included Dallas Rogers, Jonathon Baughn, Jarrod Allen and Michael Wood. The family received friends at the funeral home Monday from 1:00 P.M. until the funeral hour. Mrs. Wood was a blessing to all who knew her and will be missed by many.